Hospice care is a wonderful service for older adults who would benefit from a focus on managing pain and symptoms. The biggest myth around hospice is that it’s only for people who are expected to pass away within days or weeks. That’s not true at all. With hospice care, visiting nurses eliminate the need to go to the doctor’s office and families can get help with personal care tasks like bathing. The service also includes emotional and spiritual support for both seniors and families. On-call help and support is available 24 hours a day, 7 days a week. If your older adult qualifies for hospice, the next step is to choose a hospice provider that’s high quality and will treat your older adult (and you) with kindness. Hospice companies typically offer an initial consultation at no charge and with no strings attached. We’ve got a list of essential questions to ask that will help you evaluate hospice companies and choose the best one to care for your older adult. The 22 questions are separated into 4 sections that cover initial questions, costs and Medicare coverage, specific services for your older adult, and services for you and the family. 1. Are they recommended by family, friends, or health professionals you know? Getting a referral to a hospice provider is the best way to find a great company. Ask people you know as well as doctors, nurses, and other health or aging professionals that you trust. Geriatric care managers may also be a good source of referrals. They often refer clients to hospice providers and are likely to get feedback about the care and customer service. Take notes when you speak with different hospice providers. Write down the impression you get when you call to ask questions or make an appointment for a consultation. When you meet in person, take notes on their customer service and professionalism. 3. Do they have Medicare approval? Most hospices are certified by Medicare, but it’s best to make sure. The hospice company must be approved by Medicare before the fees and services will be covered. That includes necessary equipment, home health aides, and counseling and grief support for the patient and family. 4. How long have they been in business in that location? Hospice providers that have been established longer in your area are more experienced and stable. You should also be able to find more feedback and references. 5. How do they measure and track the quality of their service? You’re not really asking this question to get a lot of detail. You just want their answer to show that they take their performance seriously and work hard to improve it. Also, do members of the care team have additional training and certifications for their hospice and palliative care skills? 6. Are there services, medications, or equipment that the hospice doesn’t provide? Review all your older adult’s necessary equipment, supplies, medications, and treatments to make sure they’ll be covered and supplied by hospice. 7. What out-of-pocket expenses should the family expect? Make sure anything you’ll have to pay for out-of-pocket is made clear up front. 8. Are hospice-certified nurses and doctors on staff and available 24 hours a day, including holidays? If you call with an urgent need, how fast could they respond? Are qualified staff available to answer the phone 24/7? For example, if you needed a nurse to come to the home at 3am on Sunday, how long would it take for them to arrive? 9. Can they meet your older adult’s specific needs? If you’re worried about your older adult’s special needs, ask the hospice provider how they would address those concerns. 10. How quickly will a care plan be developed by the hospice? The care plan will make sure your older adult’s needs and necessary care are documented. This makes expectations clear and keeps everyone on the same page. 11. How quickly will pain and symptoms be managed? Once hospice takes over, how quickly will your older adult get the help they need to be as comfortable as possible? Will there be any gaps in treatment as the transition is made? 12. If medications aren’t managing pain or symptoms well enough, how long will it take to make changes? At any time, if the medications aren’t managing the pain or symptoms, how quickly can changes be made? How long will it take to make your older adult comfortable again? 13. What current treatments or medications would have to be stopped, if any? Is there anything currently being done for your older adult that the hospice provider would not do? Are there medications that they would discontinue? 14. How often will a hospice team member visit and how long will most visits last? Hospice doesn’t have people constantly at your older adult’s bedside. Find out how who will visit (nurse, aide, etc. ), how frequently (twice a week, etc. ), and for how long (15 min, 1 hour, etc). 15. Do they offer extra services beyond the ones that are required? Some services might fall into a gray area. They’re not required by Medicare, but could improve your older adult’s comfort and quality of life. For example, radiation and/or chemotherapy for a cancer patient could reduce the size of a tumor and reduce pain. The goal wouldn’t be to cure the cancer, but to provide symptom relief. 16. How are patient and family concerns handled? If there’s a problem, what’s the process for sharing concerns with the appropriate hospice staff? If the issue isn’t resolved, is there an escalation process? When the hospice orders medication, is it delivered by the hospice or do you need to pick it up? 17. Is there an in-patient unit where patients can go if symptoms can’t be managed at home? Many hospice providers have their own hospice facilities or have arrangements with hospice houses, hospitals, or in-patient centers. This might be needed to manage complicated symptoms or to give the family some respite. Find out if this in-patient care is covered by Medicare (it may not be) or if families will be responsible for payment. If your older adult is likely to need in-patient care, visit their facility to make sure you’re comfortable with the level of care and the location. 18. What kind of respite care is available and under what circumstances? If the family is completely exhausted and needs a break from caregiving, is respite care available? Ask if there are requirements that need to be met first, what type of care is offered, and who provides the care. For example, some hospices will move your older adult to an in-patient facility for up to 5 days or provide continuous nursing care at home for short periods of time. 19. 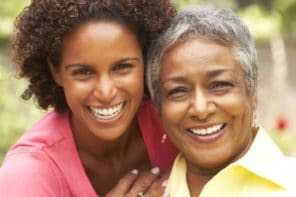 What is the expectation about the family’s role in caregiving? Clarify what the hospice expects family members to do versus what they will do to care for the older adult. Make sure what family is expected to do is realistic for your situation. 20. 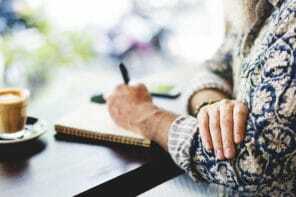 Will the hospice provide training to family caregivers? Family members may not be experienced in providing care to your older adult. If the hospice will provide training, that could relieve stress and uncertainty and possibly get more people to help. 21. What help do hospice volunteers provide and how can we request their help? Hospice volunteers are often available to help with a wide variety of tasks. 22. What kind of grief counseling or support is offered? These services are often available at any time for your older adult and the family while hospice services are being provided (and sometimes after).